Includes: Color Preserving Shampoo 10oz Debrassing Blue Conditioner 8oz ..
Extends hair color up to 107% longer Prevents water-induced color fading UV protectors shield ag.. 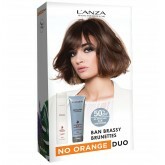 Hair Color brightener Instantly revives hair color without applying new color Boosts hue vibranc..
Includes: Healing ColorCare Shampoo 1.7oz Healing ColorCare Conditioner 1.7oz Healing ColorCare..
Lanza's first EDTA-free shampoo that won't strip color from hair! This safe for daily use shampoo b..
Bring out sparkle in silver, gray, white, blonde and highlighted hair while controlling appearance o.. Ideal for All Hair Types, this ultra deep conditioning treatment heals the hair.It contains abundant..
Includes Color Care Shampoo 10oz, Conditioner 8.5oz and Trauma Treatment 5oz. Makes a great gift fo..
Daily conditioner replaces vital nutrients and moisture to maintain colour. Flower Shield Complex an..
HEALING COLORCARE® contains L’ANZA’s remarkable Flower Shield Complex to preserve ha..
Includes: 1x Color Preserving Shampoo Mini 1x Color Preserving Conditioner Mini 1x Color Illumi..
Daily conditioner with potent hydrating and smoothing properties. Hawaiian Kukui Nut provides intens.. This hair masque is good for all hair types - even fine hair! This deep moisture therapy heals dehyd..
Great for all hair types, this spray-on conditioner offers lightweight hydration and detangles hair ..
Sulfate-free, extra gentle daily shampoo helps hair color last longer. Contains Tahitian Tamanu N.. This treatment contains potent doses of the Anagen 7 System. It also provides extra scalp stimulants.. 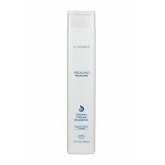 Ideal for all hair types looking to create a lightweight long lasting hold of 7 out of 10. It c.. 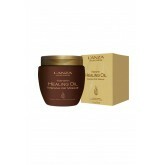 Ideal for all hair types, this masque builds body and strength with super-concentrated healing activ.. Formulated for post-clarified and chelated hair - ideal for use after Healing Pure Clarifying Shampo..